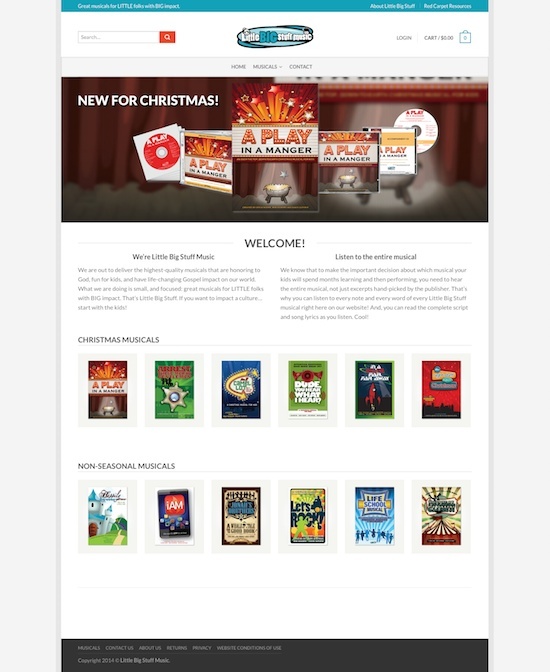 The site for Little Big Stuff was an effort to bring digital licensing and ecommerce to a traditionally, hand-to-hand, point of sale business, and that of Children’s Musicals that are honoring to God, fun for kids, and have life-changing Gospel impact on our world. 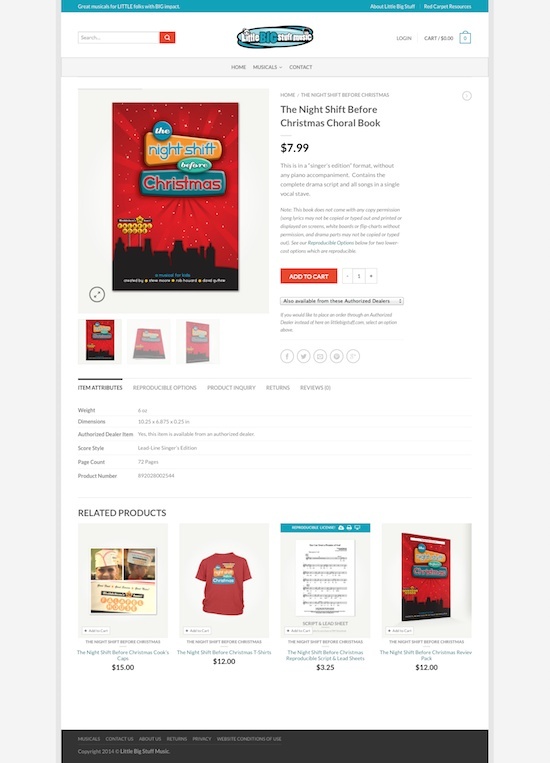 I chose the Flat Responsive WooCommerce Theme by UX Themes for the base design. The Little Big Stuff project turned out to to be more big than little: after 12 musicals, over 150 mockups, 300+ files, animated graphics, audio playlists and lots of shipping calculations, it was finally showtime. Little Big Stuff’s online shop is powered by WooCommerce, and like other projects, utilizes many WooCommerce extensions available to make things easier. 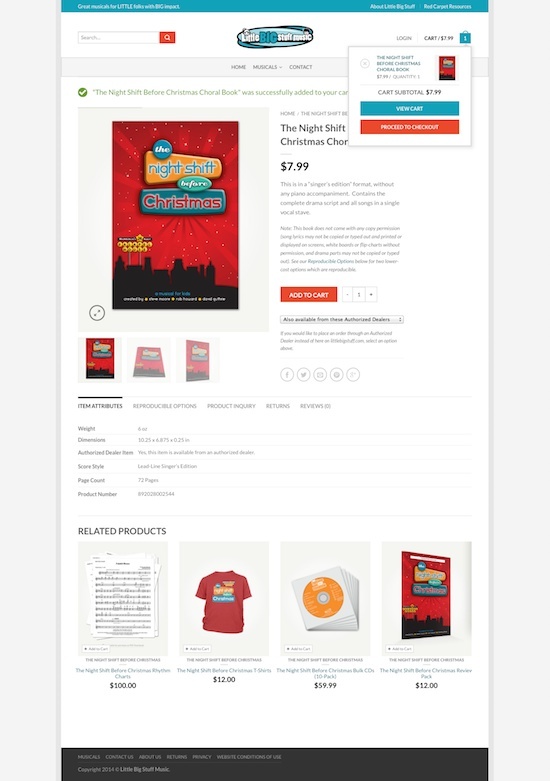 We used Badges Managment, Checkout Field Editor, Conditional Content, Dynamic Pricing, Min/Max Quantities, Product Add-ons, Product Retailers, Shipment Tracking, Tab Manager, and of course, Wishlist. 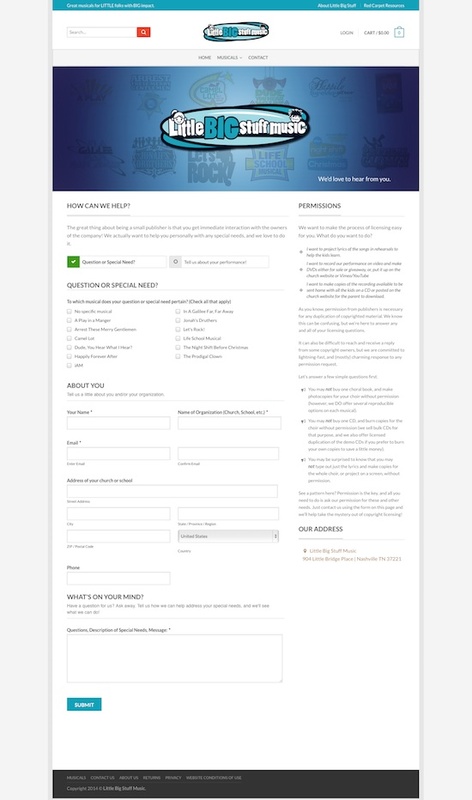 Other faithful plugins used in this project included Gravity Forms, BackupBuddy, WP-Optimize, Redirection, TablePress, and the Alligator Popup. Premium plugins included Master Slider (recommended), WPBakery’s Visual Composer, Go – Responsive Portfolio and the Testimonials Showcase for Visual Composer Plugin. 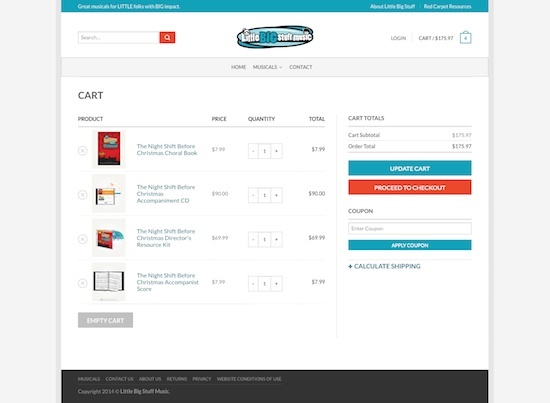 We used Templatera (an Add-On for Visual Composer) to save time placing recurring copy that was the same for each musical’s Choral Book, Listening CD, etc. Rather than type it out for each Product, we created the snippet (“template”) and placed it in each product so that if anything changed, we only needed to change it once and it would update every instance throughout the site. SEO is managed by WordPress SEO and CloudFlare Pro is helping with security and optimization (with SSL). The project was finished in August 2014. 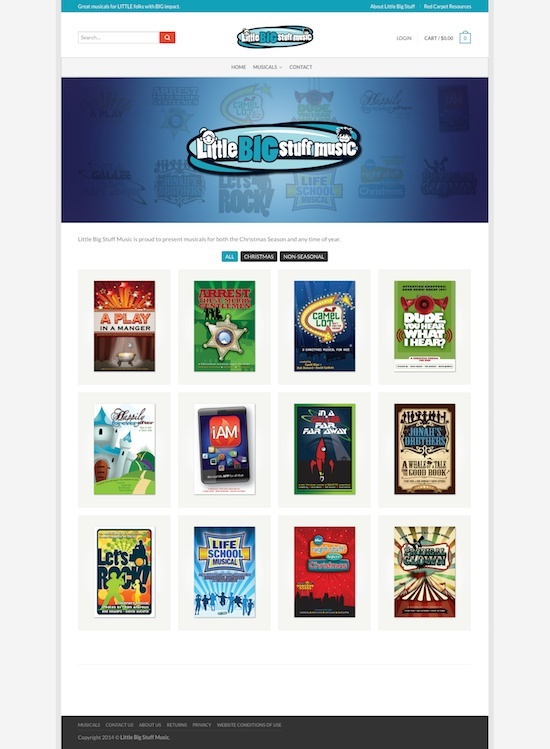 Little Big Stuff is out to deliver the highest-quality musicals for kids that are honoring to God, fun for kids, and have life-changing Gospel impact on our world.